The Mayflower Pilgrims who planned and organized the famous voyage to North America in 1620 were English Protestant “Separatists” persecuted by King James I and the Church of England. 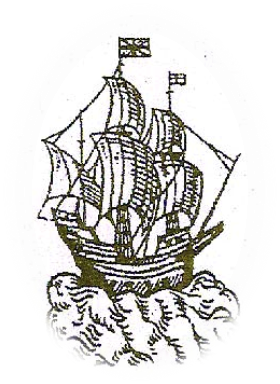 Seeking freedom first in England and then in Holland, this brave group of 102 men, women and children sailed across the Atlantic on a small merchant ship called the Mayflower. Also among them were non-Separatist farmers and tradesmen, sometimes called “Strangers”, who were seeking a better life and were added to the group to provide necessary skills for the group’s survival. The Pilgrim group first landed at Cape Cod near the current town of Provincetown, MA. After exploring the area for a promising site, they eventually established the first permanent European settlement in New England near an abandoned Indian Village named Patuxet. Only half of the Pilgrims survived that first difficult winter. Fortunately, in the spring of 1621, members of the local tribe, the Wampanoag (meaning people of the first light) helped the colonists adapt and grow enough food to survive. They acted under the leadership of their great sachem (leader), Massasoit Ousamequin, who became a close friend and ally of the Pilgrim community. The Wampanoag taught them how to grow maize (corn), beans and squash (the three sisters) in the local soil. In the Fall of 1621, Massasoit and many members of his tribe joined the Pilgrims in a meal and celebration to give thanks for the harvest and their survival. Food eaten at their first Thanksgiving meal included venison and other game, fowl (including wild turkey), shellfish (which was plentiful in the area), and their local crops. Now, nearly 400 years later, descendants from the surviving “Separatist” and “Stranger” Pilgrims live in many countries around the world and number in the MILLIONS. In addition to bringing their values and spirit of adventure with them to the New World, the Plymouth Pilgrims created a heritage of liberty and law by drafting a document of self-government. Forty-one adult males signed the Mayflower Compact on-board at Provincetown, 11 November 1620. The Mayflower Compact established the legal and political structure for the new colony where none had existed. A century and a half later, that document was an inspiration for the Constitution of the United States.